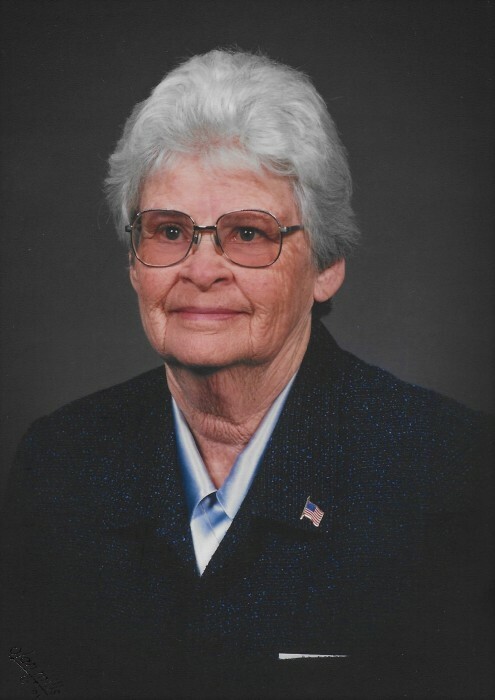 Elizabeth Jane (Holler) Ellett passed away Thursday, February 7, 2019 under the compassionate care of the Hearthstone Health and Heart-to-Heart Hospice staffs. We can never thank them enough. She was born the second child of six to Ralph and Zelma (Lanam) Holler, who preceded her in death. She was also predeceased by all five of her siblings. She graduated from Ellettsville High School in 1943 and married her classmate Cletis Edwin Ellett in 1944. He preceded her in death only eight weeks after the passing of their only son. Timothy Sherman Ellett in 2014. She served beside her husband throughout his ministry in many states and was a long-time member of the Unionville Church of Christ. Elizabeth is survived by her daughter and son-in-law, Jeanne Elaine and Dale Lisby; six grandchildren and three of their spouses; eight great-grandchildren; one brother-in-law and his wife; one sister-in-law; and many nieces and nephews and their families, each one whom she loved dearly. Visitation will be at Chandler Funeral Home in Ellettsville on Monday, February 11, 2019 from 4:00 p.m. to 8:00 p.m. Funeral Services will be held on Tuesday, February 12, 2019 at 1:00 p.m. with Allen Ketchersid officiating. Burial is to follow at Presbyterian Cemetery in Ellettsville. In lieu of flowers the family suggests contributions be sent to Berean Children’s Home, Inc. 1180 Berea Tr. SE, Bogue Chitto, MS 39629. Envelopes will be provided at the funeral home.